Sabbath Walk: Are You Ready? 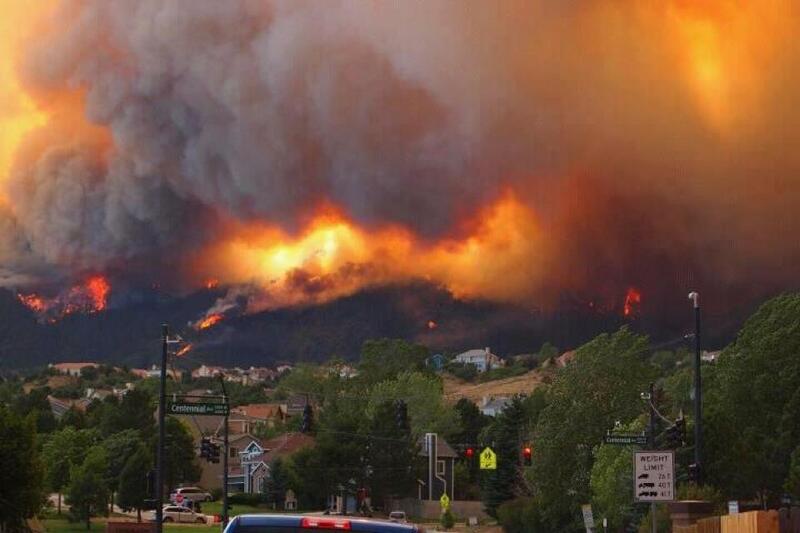 This week is a horrible week for residents of Colorado Springs, Colorado. Raging wildfires are threatening to burn and destroy huge parcels of forests, land and property. The fires have been burning for almost a week now. More than 35000 people have been evacuated, many of them with only minutes to pack their precious belongings and memories. Firefighters have called the fires as a "2 mile wall of flame," "state's most destructive," and videos showing the burning in "epic proportions." If by reading and watching the fires from afar can give us shivers, what about the actual residents and firefighters who are at Waldon Canyon region? Horrible. It is moments like these that cause one to ask, "Why?" For people who have lost everything, they will be glad simply to know their loved ones are safe. I wonder about people who have lost families to the fire. It is downright heartbreaking. In times like these, the best fire fighting technology and know how can only do so much. With the fire of such magnitude, many are dependent on mother nature to either send rain, not to make things worse, or both. News reports now indicate that only 10% of the fires have been contained. In other words, the battle is far from over. I know of several Christian book publishers in that region that have been evacuated for safety regions. NavPress, Multnomah, David C. Cook publishers are all in Colorado Springs. It is also a time in which Christians come together to help the community and each other. For instance, the staff from NavPress have been offered the offices of Focus on the Family to continue part of their work. This is wonderful news, to see how simple gestures of cooperation and graciousness in action. What things will I grab in the event of an emergency? Vancouver is in an earthquake region, and people have long been talking about the "Big One" happening anytime. On top of that, wildfires during Summer are frequent occurrence. Disasters can happen anytime. The big question is: "Are we ready?" This is one question I hate to answer. Even if I say, "I am not ready," it is still an incomplete answer. I have to be ready. I have to make plans. I know the why. 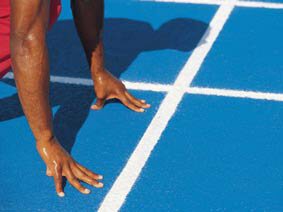 The big issue is when and what forms of readiness. Sometimes, my wife and I will talk about how one day we will leave everything behind in this world. This is no secret that everybody will die one day. The only difference is when. We do not know when. The words take the disciples by surprise. This is simply because they are clueless about the biggest surprise of them all, that the temple to be scattered and thrown down is actually Christ being crucified. Without death on the cross, we remain in sin. Jesus then brings the disciples through a long description of the end times. Finally he gives this warning about being ready. The second is application is basically warnings. The Greek word (barethosin) can be translated as "weighed down," "dulled," or "overcharged" by the distractions of the world, being drunk by worldliness and deluged by worries. All of these things have one common purpose: Make us stray away from our calling. We need to be firm, to heed what God is calling us to do. If we look at Luke 21:34 carefully and ask ourselves, "What is the one thing that prevents us from obeying the call to take heed?" I think it is losing our focus on God. The moment we fail to take heed on God, we become easily dissipated, easily drunk, and easily anxious about the world. Worry is opposite of trust. Without trust, we are extremely susceptible to all kinds of worry. Elisabeth Elliot, in Discipline, the Glad Surrender, mentions 6 things about the nature of worry that we can all take heed. "Worry is worse than fruitless: it is disobedience." Worry is being anxious about tomorrow. Worry is ignoring the present. "Worry is the antithesis of trust." "Worry is a wicked squandering of time (as well as energy)." When we worry, we fail to take heed to ourselves, to be ready for what God is calling us to do today. When we worry, we forget that it is more important to prepare for tomorrow rather than to worry about it. In being prepared always, we will be ready to face the world at all times. We are ready to respond to emergencies. We are ready to know what are the more important things to grab when fires and calamities occur. Instead of worrying, why not just prepare, and get ready? Surely, that is a more constructive way to live instead of giving in to destructive worry? Perhaps, may I encourage you my reader to ask yourself the question. If you break down the active hours of your life, what is the percentage that you are using to get ready for tomorrow, or your final goodbye?